With either option, please make sure you call us, before you drive across, so we can be ready to help you. Option one is to follow the directions to the COSTCO, where we can meet you. (See Below). 1. Take Interstate Highway 805 or 5 South to the border. (Both of these highways merge together just before the Mexico border). 2. After you cross the border, the lanes will take a sharp turn to the right, before you enter Mexican Customs. 3. When you go through Mexican Customs, stay in the far left lane. 4. The left two lanes will go up a ramp, which merges with other lanes as it goes over a bridge. Keep to the right side of the bridge, and as you come down the bridge you will see a COSTCO store ahead on the right. 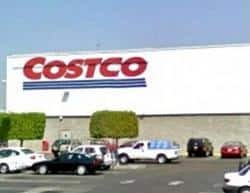 Go to the traffic light at the COSTCO store, turn right, and enter the parking lot of the COSTCO. Park by the street entrance to the parking area, and our driver will meet you there. Option two is to follow the Google maps direction. (Make sure your phone has roaming data on, or your internet won’t work).